On October 21, 1805, the British Royal Navy, under the leadership of Admiral Horatio Nelson, achieved what has been often identified as its most decisive naval victory of the Napoleonic Wars, at the Battle of Trafalgar. But the victory came at a price, because Admiral Nelson had been shot by a French marksman, and soon died with the words, “Thank God I have done my duty,” on his lips. 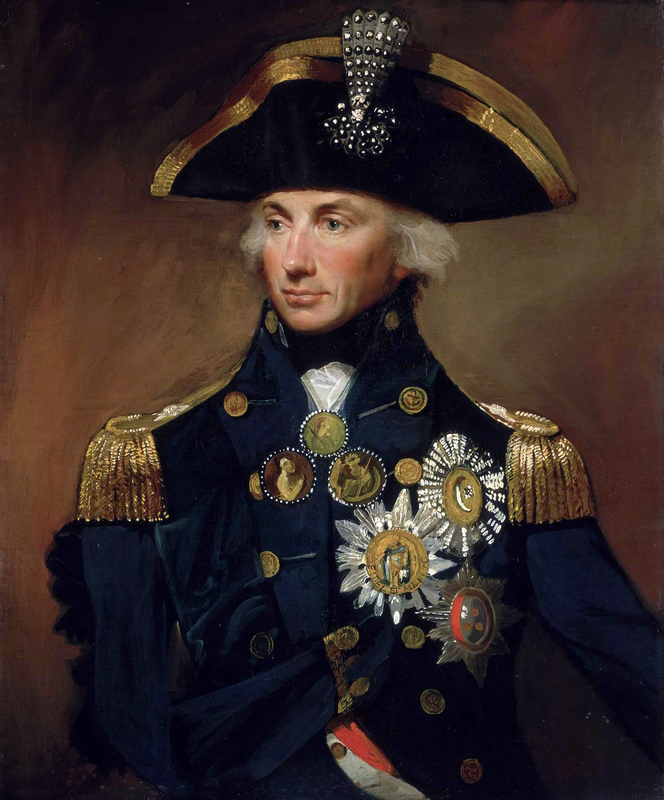 Admiral Nelson had previously lost his right arm in battle. It’s not clear in which liquor barrel the arm was stashed. Like most important men of the era who had the misfortune to die at sea, the admiral was placed in a barrel of brandy for safekeeping on the trip home aboard his ship, Victory. Then the HMS Pickle, a schooner that had been present during the battle, was sent ahead to deliver the news that the navy had been victorious and that the admiral had been, well, pickled. King George III was delighted with the news of the victory, but was purportedly sad to have lost Admiral Nelson, a hero whose memory lives on in the country for which he so nobly fought and died and that is still dotted with tributes to his heroism. Perhaps the most bizarre tribute to the memory of the admiral is not a monument, however, but instead comes in the form of a tale that evolved from his final voyage, the one he took soaking in a barrel of brandy. By the late 19th century, a strange saying had emerged from the Royal Navy. 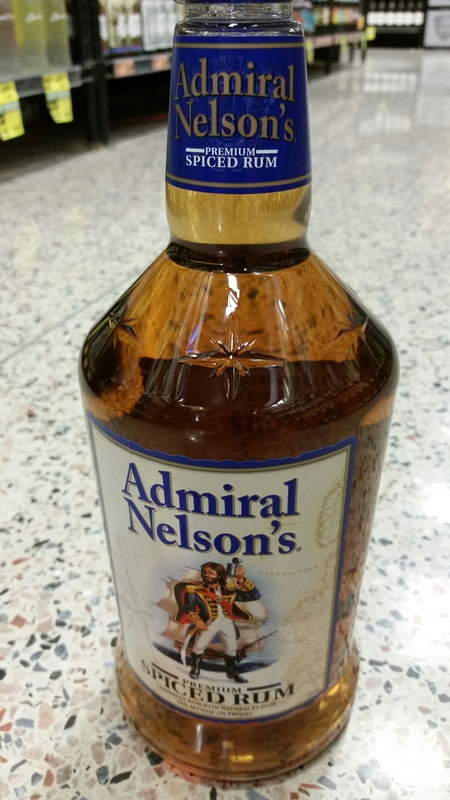 If one were caught sneaking an illicit drink, he would be said to have been “tapping the admiral.” I can almost hear you saying, “Oh, that’s where that comes from.” And now I can almost see the disgusted face you’re making as you realize what the rest of that story must entail. Ship physician William Beatty faced some criticism for choosing to put the admiral’s body in brandy rather than the more customary rum. In some versions of the tale it was a rum barrel that was used, which makes this particular branding just a little bit disturbing. Apparently, sailors flush with victory, and probably mourning the loss of friends as well, like to get their drink on. Never having served in the navy myself, I will just have to take the tale-tellers’ words for it. As the story goes, these sailors really needed to get their drink on and they weren’t about to let good brandy go to waste over one dead admiral. As the ship sailed, the crew took turns siphoning off bits of the brandy, so much so that when the admiral finally arrived home and the barrel was opened, he was still perfectly preserved, but there wasn’t a drop of brandy left. First of all, gross. Second of all, I think it’s pretty safe to assume it never really happened. Again, I’ve never served in the navy, but I’m acquainted with several people who have, and what I do know is that most of them like to tell tales. Though various versions of this story are splashed across the Internet, I first encountered it a while ago in a book I was reading as part of my research for the novel I’m currently writing. And then very recently, as I was reading through another (quite different) source for the same project, I stumbled on it again. I find that one danger of writing historical fiction is that often the story I want to write gets hijacked by my research, by the stories I find along the way (sometimes again and again) that really want to be shared, but that have no place in the book I’m working on. I’m sorry to disappoint any of you out there who might one day read my book, but Admiral Nelson and his barrel of brandy are not in it. The story behind “tapping the admiral” is fascinating not because it’s true (again, gross), but because someone was devilish enough to make it up in the first place. And I would hate to think, dear reader, that you might someday find yourself at a party, sipping a drink (perhaps even brandy) without this story handy to pull out and share. 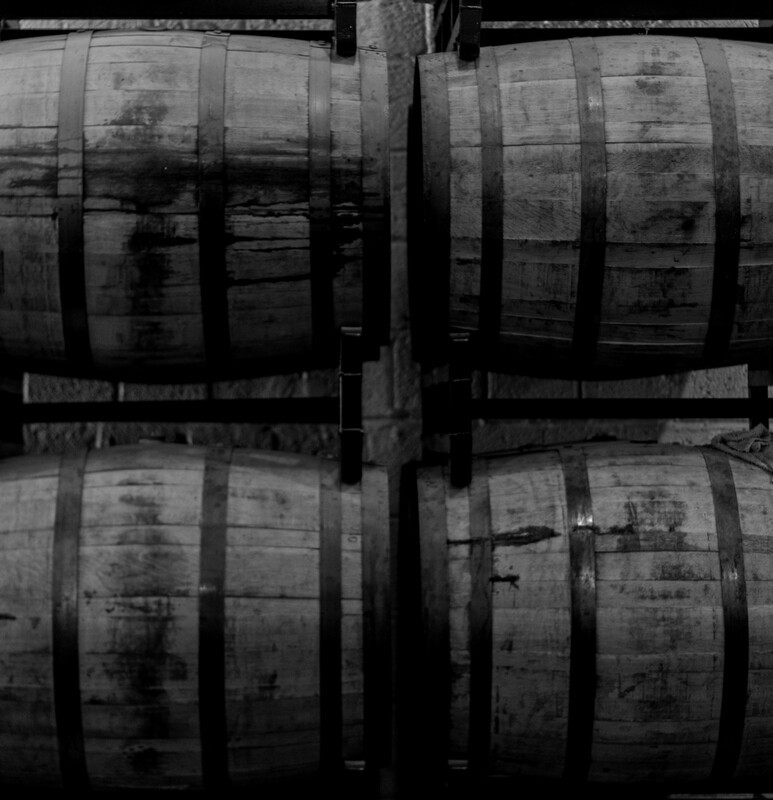 So here it is, one of the little legends drifting around in the great barrel that contains the tale I’d rather tell. Someday, after I’ve reached the end of the long, winding road toward a final published work, I hope you’ll enjoy the pickled remains. In the meantime, I will occasionally have to siphon off a little of the excess, because unlike the sailors who tell them, good stories should never be wasted. “Good stories should never be wasted.” I’ll drink to that! Well done! Yep. The good thing is that even though there’s some truth to the tale, because Admiral Nelson’s body did travel in a brandy barrel, most more reliable sources say it was guarded on ship. Apparently the body did soak up a lot, so the doctor did have to top it off a few times, but that anyone besides the admiral imbibed seems unlikely. That has to be an expensive way to travel! All that brandy ruined! I imagine the deckhands just got plopped into the ocean when they died? I’m sure. One source I found that said the doctor took heat for using brandy because rum was usually used and was considered better, but that the real reason for that was because rum was so much cheaper.